Owning a portable RV generator allows you to power up all your appliances whilst camping and they come with varying power outputs depending upon your budget. However, there is a sweet spot between power output and he noise level. The best RV generator is the Champion Portable Inverter Generator, that runs on gasoline or propane and outputs a generous 3,400 watts at a quiet 59 dBA. Many people will look firstly look at the power rating when choosing a RV generator. However, if you are camping, the noise level is the most important rating as a noisy generator can be very frustrating for other nearby RV campers. Some of the premium generators for RVs will feature a dual fuel functionality. The two main fuels are of course gasoline and propane with gasoline offering more power in most cases as brands will provide both wattage ratings depending on the fuel. When camping, most camp grounds will usually have restrictions regarding generator noise. RV generators for camping should ideally be quieter than 60 dBA but some camp grounds limit generator usage between certain periods too. Investing into a quality generator for your RV is highly recommended as reliable power whilst camping is an essential. Below is a list of the best RV generators that provide enough power for all your appliances and are quiet for camping. With so many high-quality power options, the Champion inverter generator is one of the best options for RV travelers who need extra power on the road. It’s reliable and combines many different helpful functions in one device. Such a powerful outlet is perfect for powering large RVs. The Westinghouse WGen 7500 is reliable and convenient for staying powered while you’re on the road. Yamaha is a very well known electronics and vehicle products and this generator provides the high quality that Yamaha is known for. 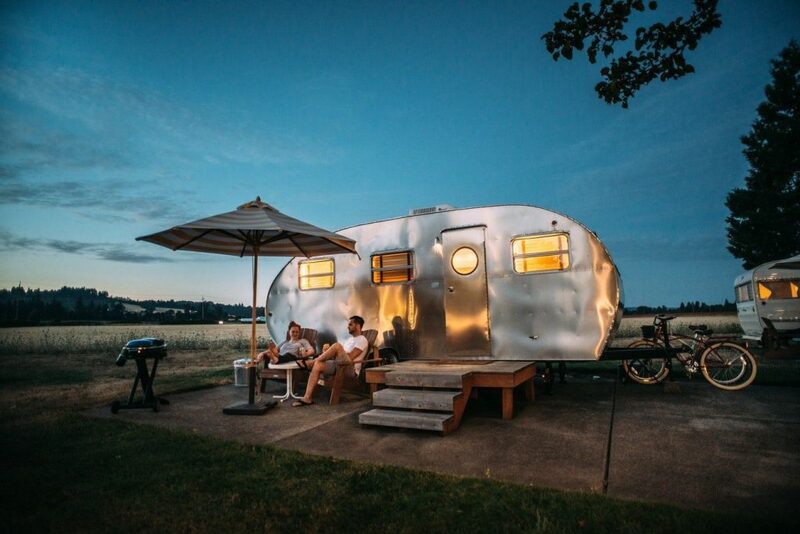 Although it is a big investment, it is worth the money for the serious RV traveler. While it is very powerful, it is very efficient and quiet, and it uses clean power as well. Here are some of the specs of the Yamaha EF2400iSHC. 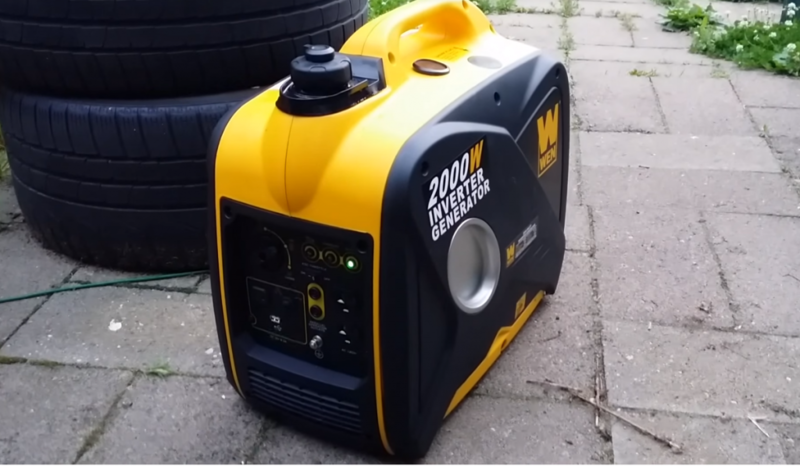 This generator is great for household appliances, computers, and even RV air conditioning units. The Yamaha EF2400iSHC is the best inverter generator for RVs on the market. The Yamaha EF2400iSHC is the best inverter generator for RVs. This generator is also very easy to maintain, with oil tanks and valves that are quick to clean and change. The controls are very intuitive, making it a good choice if you’re using a generator for the first time. You can even pair two generators together for more power if you need it. 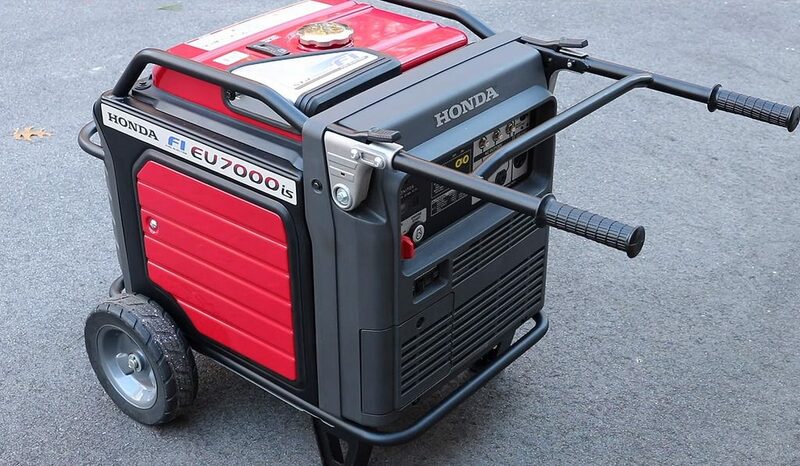 The Honda EU2200i is a perfect inverter generator for RV owners who want something easy and simple to set up. It is the best quiet RV generator with a noise level of just 48 to 57 dBA, which is almost silent compared to the old noisy generators. The DuroMax XP4400E generator is not only one of the most affordable RV generators on the market, but it’s also one of the most powerful. Although it’s big, it’s perfect for powering a large RV with several appliances and electronics. If you’re on a budget but looking for a top quality generator, the DuroMax XP4400E is a great choice. It provides the same features that you would expect to find in a much more expensive product, but at a reasonable price. Every RV owner needs a good generator to keep your electronics and appliances running day and night, no matter where you are on your travels. When shopping for a generator, there are many things you should look at to ensure you are purchasing a top quality product. Shopping for generators can seem very technical at first, but once you learn what specs to look for, it becomes much easier to identify quality products. Here’s what you should be looking for when shopping for a quality generator for your RV. One thing you should always look for when shopping for a generator is how long it runs. The longer the run time, the longer you can go without refueling, making things much more convenient for you. The run time will depend on the percentage of available power you are using. A good RV generator usually can run for between five and eight hours. You may sometimes get even more run time than that if you’re only running a few appliances. The power level is another thing to look at when buying a generator. Power level is calculated in watts, and the more watts your generator has, the more power it will provide your RV with. It may help to go through the appliances and tools in your RV and determine roughly how much power it uses during a given day. You can typically find this information by looking up the model number or name of the appliances you use. The type of fuel your generator consumes is another helpful factor to look at. Most generators nowadays consume gasoline, which tends to be slightly more accessible. However, there are also some generators that use propane. There are even many generator options that use both. Which one you want to use depends on your personal preference. Gas is generally much more convenient because it is easier to find. However, gasoline doesn’t run as cleanly as propane does. These are all factors to consider when ultimately deciding which type of fuel you want to opt for. Another factor to look out for is the efficiency of the generator. You don’t want to have to refuel the generator constantly – it should use fuel efficiently. Determine how much gas or propane you’ll need to get through a day with the generator, and then determine how much that will cost. This is a good figure that you can use to compare generators and determine how much value you are getting for the money. You should always look for a generator with an electric starter. Manual starters are very frustrating to deal with – they take longer to turn on, and you are also much more likely to encounter complications with them. Many generators even come with a remote starter, so you don’t have to be near the generator to turn it on. This is a very helpful convenience to keep an eye out for when choosing a generator. Unfortunately, many generators can be very noisy, which is frustrating when you are trying to relax. It can also bother the people around you if you park your RV in a dense neighborhood. The noise level of a generator is typically marked in dBA. The lower dBA a generator has, the quieter it will be. Not only will you appreciate it, but the people near your RV will appreciate it as well. The number and type of outlets your generator has is another good thing to look into when making your decision. The generator should have at least two normal household outlets for you to plug things into. You may want to invest in a power strip to attach to your generator, so that you can plug even more units into it. Something else to look for when choosing a generator is whether or not they have inverter plugs, so you can use devices manufactured around the world that use different energy systems. The weight of the generator is another helpful thing to look at when making your purchase. This is because you will likely have to move your generator around while organizing and powering your RV. When your generator is heavy, this can be very frustrating. A light generator with handles is the best choice, particularly if you aren’t very strong. Some generators also come with wheels, which makes transporting them much easier. Ultimately, powering your RV shouldn’t be complicated. The generator you purchase should be very easy to use, with an intuitive outlet and power functions. The owner’s manual should be complete and easy to understand, and you shouldn’t need to do continual maintenance on the generator to get it to work. If you can, go to a store and look at the generator in person to get an idea of how quickly you will be able to pick up using it. Since generators are such a large investment, you should always look for a generator that comes with a warranty. This way, you can make your purchase stress-free, knowing that you can get your money back if something about the generator is defective. It’s also important to look for access to maintenance with your warranty. Many generator companies offer maintenance services with their products, which is very helpful in the event that something breaks down. As an RV owner, you should always have a generator in your vehicle to power your appliances and electronics. Without a generator, it’s difficult to live a comfortable life in an RV. Since generators are a big financial investment, it’s important to make sure you’re choosing the best one for your needs. By following our guide, you can determine which RV generator makes the most sense for your individual lifestyle.